London, July 20, 2018 - Hitachi Europe Ltd., a wholly owned subsidiary of Hitachi, Ltd. (TSE: 6501, "Hitachi") today announced that researchers at the Hitachi Cambridge Laboratory ("HCL"), working in collaboration with academic partners at the University of Cambridge, University College London, and CEA-LETI ('the team'), have successfully demonstrated a highly-sensitive detector to readout information from Si-CMOS based quantum bits (qubits). Quantum computers promise to solve some of the most challenging computational problems such as simulation for revolutionary new materials, chemicals and medicines. Research on quantum computation has demonstrated that it is now possible to build small quantum processors in a variety of hardware platforms, and their computational capabilities are approaching those of the most powerful supercomputers. However, to tackle the most demanding computational simulations, quantum computers will need a much larger number of qubits than what current technologies can provide. Currently, qubits are wired one by one in a very similar fashion to what was done for the first electronic computers built with discrete components, but this approach will become unsustainable as quantum processors become increasingly complex. To solve the wiring challenge, the team is developing Si-CMOS based qubits and integrating them with digital electronics so that in the future, complex quantum processors can be managed with a small number of input/output lines. 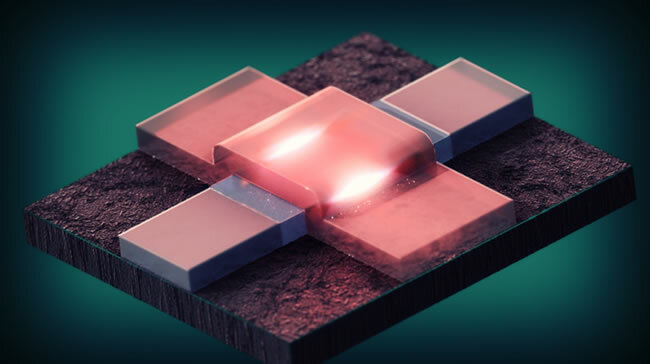 *3 Silicon, the base material of large-scale integration technology, is amongst the most promising candidates for large-scale quantum computing because qubits based on the spin of a single electron can retain quantum information for much longer than any other solid-state implementation. This research was carried out at HCL in collaboration with academic partners at the University of Cambridge, University College London and CEA-LETI, France, and was supported by funding from the European Union's Horizon 2020 research and innovation programme under grant agreement No 688539: MOS-Quito project. *4 The results have just been published in the 19th July 2018 issue of Physical Review Applied , as an Editor's suggestion. S. Angus et al. A silicon radio-frequency single-electron transistor, App. Phys. Lett. 92 112103 (2008). The Hitachi Cambridge Laboratory (HCL) was established through collaboration between the Cavendish Laboratory of the University of Cambridge, and the Research & Development Group of Hitachi, Ltd. The areas of research activity in HCL include microelectronics, magnetism, optoelectronics and semiconductor physics, with view to creating new concept advanced electronic and optoelectronic devices. Currently research projects are being pursued in the areas of Quantum information and Spintronics. For more information, visit http://www.hit.phy.cam.ac.uk.